When you’re brainstorming yearbook cover ideas, you’ve likely got a dozen possibilities floating through your head. Or you’ve got zero. Whichever is the actual case, you can get out of your creative block by simplifying your brainstorming process into two choices: go traditional or go timely. Though there are many other ways to classify a cover design, these two choices boil them down to their core. And if you can pick one way or the other, you’ll be one step closer to getting a final cover design. A traditional yearbook cover, you might have guessed, feels more like a cover you would see when taking a look at a yearbook stashed away in your parents’ attic. It feels kinda old, but it also feels kinda familiar. And, perhaps most importantly, it feels like something you wouldn’t mind seeing on your yearbook cover today. A timely yearbook cover, then, is a little more pop culture. It’s one that pulls some influences from that year’s trends and fads. If you can associate a “look” with a decade, that’s the best way to think about a timely yearbook cover: tie-dye, big hair, plaid … you get the point. You might not really like the way that looks now, but, gosh, it looked really good then. That’s a timely yearbook cover. Regardless of which way you go, you want your cover to tie back to your theme. We figure that goes without saying, but it’s pretty important. So, there, we said it. A traditional cover is potentially a little stale, and possibly without much personality. It could be indistinguishable from any other year. Something timeless has universal appeal, and is relatable to all age groups. It will look just as good when your students are in their 30s as it does now. The “cringe” factor. 30 years from now, students might look at the cover and wonder what the heck you were thinking. It also takes a risk with choosing what is cool, since not every student will agree. The reverse of “cringe” factor is nostalgia. The point of a yearbook is to accurately represent the year, and remind a reader about who they were, what they stood for, and what school was like. A timely cover can lead to a solid trip down memory lane. If you’re still having trouble picturing what a timely or traditional look will be, here are some examples. This can help you decide what you’re looking for, and maybe provide some inspiration as well. 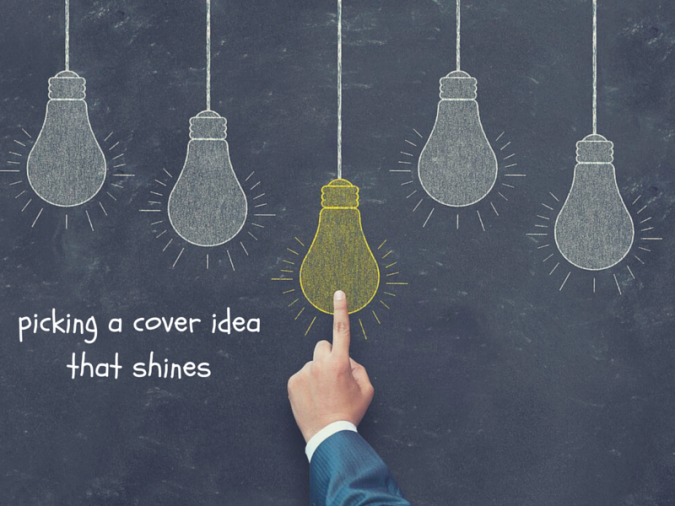 We know we mentioned this above, but it bears repeating: the coolest yearbook cover idea may look amazing, but it needs to mesh with your theme. After all, your cover is going to lead people into the book and shape their expectations. Everything has to be coherent. So remember, if your theme revolves around social media, having a traditional yearbook cover might not make as much sense. After all, you want to capture the moment, and remind students about the kind of social media they were using in the mid-2010s. Having a yearbook cover that could be from the 1950s or 1980s won’t do that, and will hurt your overall ideas. Conversely, if your theme is “Building a New Future,” you don’t want to have a “wrecking ball” cover just because someone likes Miley Cyrus. While thatcould symbolize building something new, it seems odd to tie a traditional theme with a timely cover, especially if you are worried that the song won’t be remembered in 30 years. It’s okay for your yearbook to amuse, but not confuse, future readers. Instead, consider trying a photo of your school now, with blueprint-like sketches of future expansions, symbolizing that the school is going to keep growing, as are your students. Your yearbook cover is the first thing that students will see when pulling the book off their shelves in 30 years, so you want your students to look at the yearbook and think “Whoa–yes. That is what 2015 was like for me.” You want them to have that burst of nostalgia, regardless of what the cover looks like.